They say it’s too early to start talking about the end of season awards. I say it’s never too early to at least start looking at who is in the mix. Many players thus far in the season have made their case of why they should be taking home the MVP award. Let’s take a look at a few players that separate themselves from the rest, with their stats, improvement from last season, and their win-loss record. Wow. remember when this guy- excuse me- this unicorn got booed on draft day? 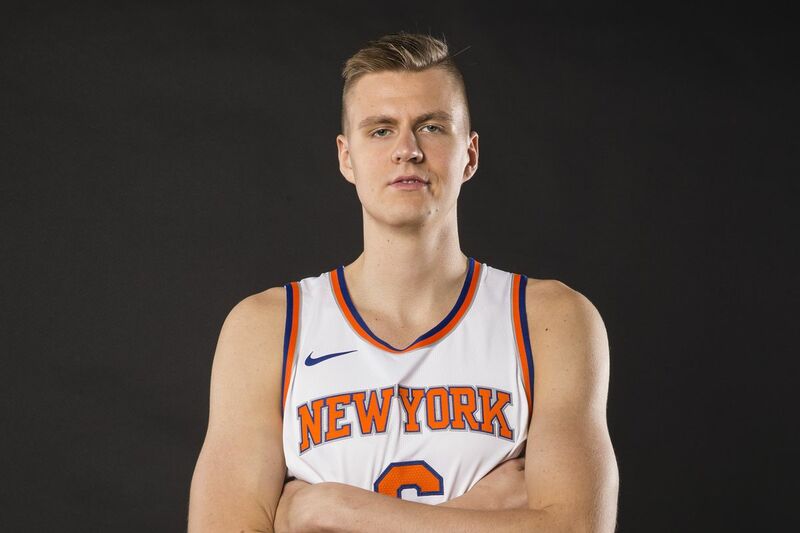 Has he proved his worth to the Knicks, and in a big way. Now with Carmelo gone, it is safe to say this is his team and he has taken the task as the main guy for the team. Through 10 games he has averaged 30 points, 7.5 rebounds, and 2.3 blocks, while also shooting 51% from the field. His versatility definitely helps him and his defense has improved from last year. He can shoot from deep, post you up, get rebounds and run the floor. He is a great player and he is only going to get better as the season keeps going. The Greek Freak has gotten better in each season so far in his career and this season will be no different. Right now he is having a monstrous season so far posting up some big numbers early this season. 31.9 points, 9.8 rebounds, 4.8 assist, 1.5 steals, and 1.6 blocks. To top all of that off he is shooting 60% from the field, that is pretty impressive for someone that is getting the most touches on the team. With the addition of Eric Bledsoe to the team, his touches may take a slight hit but that only will mean his efficiency will start to rise, making his case even stronger. He left so that he could be the focal point of the team. People said he would not be able to do that with Gordon Hayward on the team. Unfortunately, he is out for the season with a gruesome ankle injury. 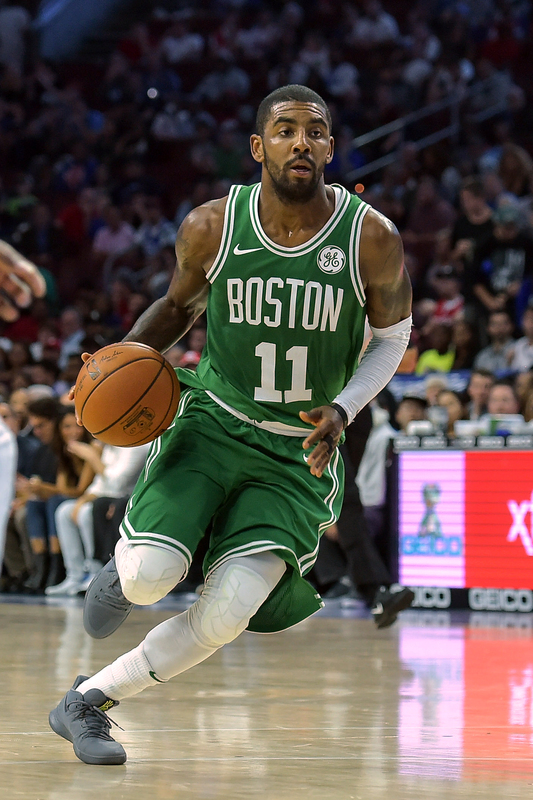 Kyrie was forced to step up and he has in a big way. He has led the Celtics to an NBA best 11-2 record while averaging 20.3 points, 3.1 rebounds, and 5.2 assists. So far he has proved that he is ready to lead a team and his decision to leave the Lebron led Cavs (currently – ) is not looking too bad, as of right now. In his 10th year in the league, Kevin Durant has never been better on defense than he is right now. His long reach is allowing him to get a career-high 2.5 blocks per game, which is the second highest in the league, right behind Rudy Gobert. He is also still scoring at a high rate, with 28.2 points per game, along with 5 assist and 8.2 rebounds per game. He is already a candidate with his impact scoring the ball, now that he is making an impact on defense and its showing on the stat sheet it only improves his case for MVP. When the Rockets signed CP3, the workload of James Harden was expected to go down. That changed as soon as Chris Paul is injured and until he comes back James Harden is going back to his form from last season. Right now he is averaging 29.9 points, 10 assists, 4.9 rebounds and 1.8 steals. If he keeps putting up big numbers like he did against Utah (56 points and 13 assists) then his name will continue to show up in MVP debates. ​Is It Time For The Cavaliers To Panic? Last year they started the season winning 9 of their first 10 games. Last year they ended the season going 4-7 into the playoffs. Last year they were the second seed in the east. Last year they only lost one game on the road to the NBA Finals. With that in mind is it time for the Cavaliers to panic and make a major change? Now, this isn’t exactly the same team as last year, a few major additions such as Jae Crowder, Dwyane Wade, Derrick Rose, and Isiah Thomas, who has yet to play a game this year due to injury. But they also still have main pieces, King James and Kevin Love, to carry the load for the team. One of the glaring issue on the team is rebounding. Tristan Thompson, arguably the team’s best rebounder, is coming off the bench and now is injured and expected to be out for about a month. In the 21 minutes he played a game, he only got 6.4 rebounds. That leaves other players to pick up the slack such as Kevin Love who is averaging 10.3 rebounds a game. The second team leading rebounder is Lebron James with 7.2 rebounds a game. Everyone else on the team is averaging less than 4 rebounds a game. The other issue is defense. The Cavs have allowed 113.4 points a game which is ranked 28th in the league, ahead of only the Phoenix Suns and the Brooklyn Nets. For a team that is expected to continue to dominate the east, that is unacceptable. They can still win games, but they will not look like a team that belongs in title contention and if they get to the finals they will get there only to get beaten by the warriors or another strong team in the west. What can the Cavs do to fix all of these issues? When they first acquired Jae Crowder in the Irving/Thomas deal, many thought Crowder would help the Cavs, defensive woes. One man can only do so much for a team. I personally thought the Cavs would try to sign lockdown defender Tony Allen while he was available. He would be a cheap option that could definitely improve the team’s perimeter defense with his presence. Right now it seems like the next option for the Cavs is to jump in on the Eric Bledsoe sweepstakes. He is going to be traded eventually and the Cavs could use his defensive ability. They can only but hope that they can have enough to trade for him between maybe Iman Shumpert, channing frye and maybe some of the younger talents they have acquired. Don’t count on them giving up the Nets first round pick for this upcoming draft, and the next first round pick they can offer is for the 2021 Draft. Even with that they probably will not have enough to beat out what teams like the Bucks, who actually are in the midst of finalizing a deal with the suns. The next option is for the cavs to…well play harder on defense. At times it looks like they do not want to be out there or the other team wants it more than them. It really comes down to that with the losses they have taken, the other team just wanted the win more than the Cavs. Overall, the Cavs have enough and can do enough to secure a top seed in the east. The gameplan for them has been and will be run the offense through Lebron, and that’s how they will be successful. For all, we know they are hitting the rough patch early and in a few games, they will be back to looking like a top team in the East. 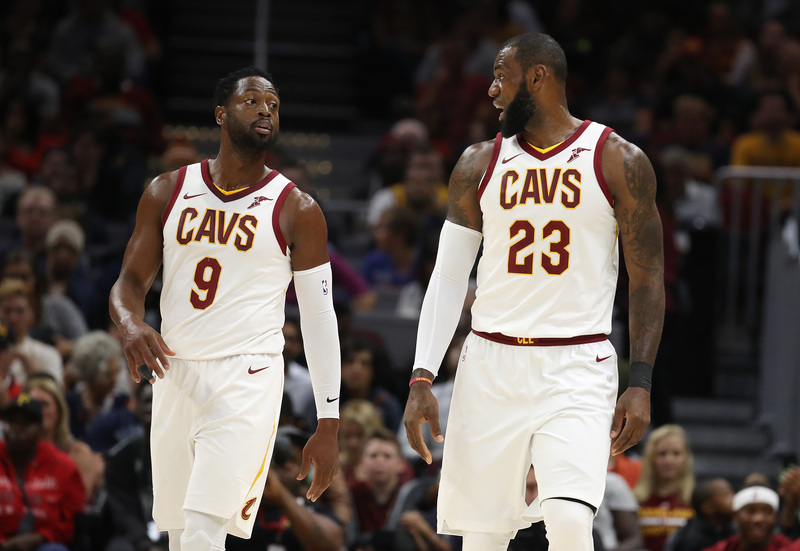 Cavs fans, don’t worry in time the Cavs will hit their stride, especially when the team chemistry finally comes together, and look like one of the best teams in the East again.